In March, a 17-year-old boy shot and killed 16-year-old Jaelynn Willey at Great Mills High School. Students from the school will be holding a rally in Annapolis this weekend, demanding stricter gun control measures in Maryland. But, Willey's mother isn't sure she'll be attending. WASHINGTON — Melissa Willey wears a rubber bracelet with her daughter’s name on it: Jaelynn. She has a heart-shaped locket with a likeness of Jaelynn stamped onto the surface. Her daughter’s name is also tattooed on her forearm. Willey points out that the lettering is in Jaelynn’s handwriting; she gave the tattoo artist a sample of Jaelynn’s signature to use in the design. Those are just some of the ways Willey keeps the memory of her late daughter close. 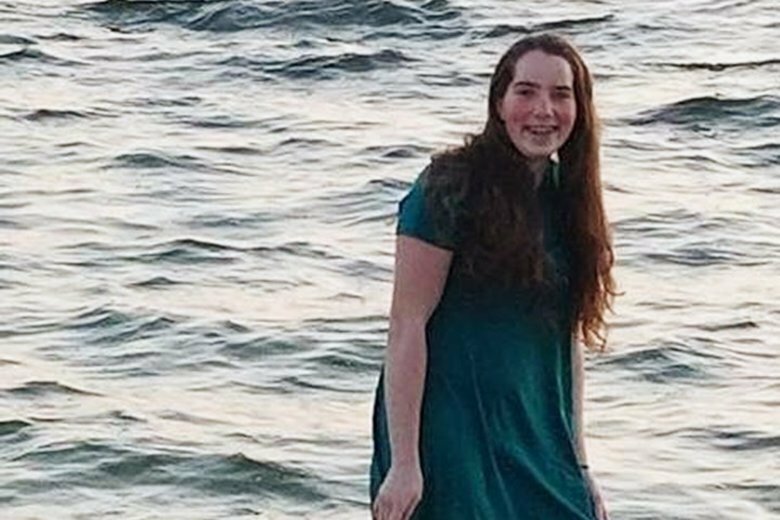 In March, 16-year-old Jaelynn Willey was shot in the head at Great Mills High School in St. Mary’s County, Maryland. She died after being taken off life support days later. The shooter was a 17-year-old boy who died after turning the gun on himself. Another 14-year-old student was shot and injured. This summer, schools across the region are taking a look at their safety plans and how they train for active shooters. It’s a byproduct of years of school shootings, including February’s mass shooting in Parkland, Florida, that left 17 dead. That school shooting sparked a level of activism that spread across the country, including the March for Our Lives in D.C. on March 24, just days after Jaelynn was shot. On Saturday, students from Great Mills High School will be holding a rally in Annapolis, demanding stricter gun control measures in Maryland. The rally comes weeks after five people were killed in the Capital Gazette newsroom in Annapolis. 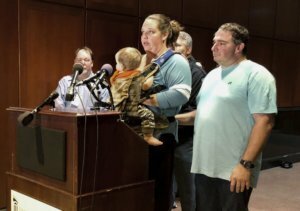 A 38-year-old Maryland man with a yearslong grudge against the news outlet was arrested and charged with the murders of the four journalists and sales assistant. A survivor of that shooting, Capital Gazette reporter Selene San Felice, is expected to speak at the rally. Before, Melissa Willey said she expected to attend the rally. But, on Wednesday, sitting at a picnic table at the Leonardtown Wharf Park, a spot her daughter loved, Willey said she wasn’t so sure she’d attend the rally. “It’s a lot,” she said, simply. Willey has limited her exposure to news about her daughter’s death, and unlike some families touched by gun violence who become politically active, she’s unsure of just how much activism she wants to take on. “It’s a lot,” she repeats, her gaze drifting out to the water of McIntosh Run. But, juggling the school schedules and summertime activities of a busy family has been made harder by the loss of the teenager Willey said was her “go-to person.” Jaelynn, she said, was a caring sister to her siblings and had a kind, open heart. “She was sweet,” Willey said, with a bit of a sigh. Though she’s never been politically active in the past, Willey said she has sent out a tweet directed at Maryland Gov. Larry Hogan, telling him he should meet with the student organizers of Saturday’s rally. “These kids should not be uncomfortable or afraid to go to school. None of them should,” she said. As the result of the Parkland shooting, school systems across the country have begun to examine their own safety plans. She said the focus this summer is on the month of vacation ahead, a time for the kids to have fun. “We just haven’t talked about it,” she said of the upcoming school year. She is clear on one thing: She wants more discussion of dating violence in schools — Jaelynn had briefly dated the boy who shot her — and she wants laws surrounding access to guns by minors tightened up. “I’m not anti-gun. I’m not,” she said. But she wonders if laws enacted in the last Maryland General Assembly session go far enough. The “red flag” law that goes into effect in October was supported by Hogan and would allow courts to take weapons from anyone deemed a threat to themselves or others. Willey wonders that when a person applies for a firearm license, perhaps screening ought to be broader. “Maybe checking everybody in the household — making sure that the mental health of all people in the household is sound,” she suggested. “I don’t know,” she added. Another sweeping law enacted in Maryland extends the use of school resource officers in schools across the state. Willey’s not sure that’s the answer, but she does urge school officials, parents and students to be more vigilant about signs of trouble among students.